How to get the most out of all-flash array (AFA) storage: definitions, types, and how to integrate AFA technology with your storage infrastructure. What is all-flash array storage? Performance is one of the top benefits every business wants, even if it’s not an immediate need. The most common method of gaining high performance for applications that are slowed down by storage read/write times is by investing in all-flash arrays (AFA). The results are impressive, and your end users will notice the improvements immediately. One of the top reasons why flash drives are being favored over traditional spinning drives is related to the rate of failure of the internal moving parts. 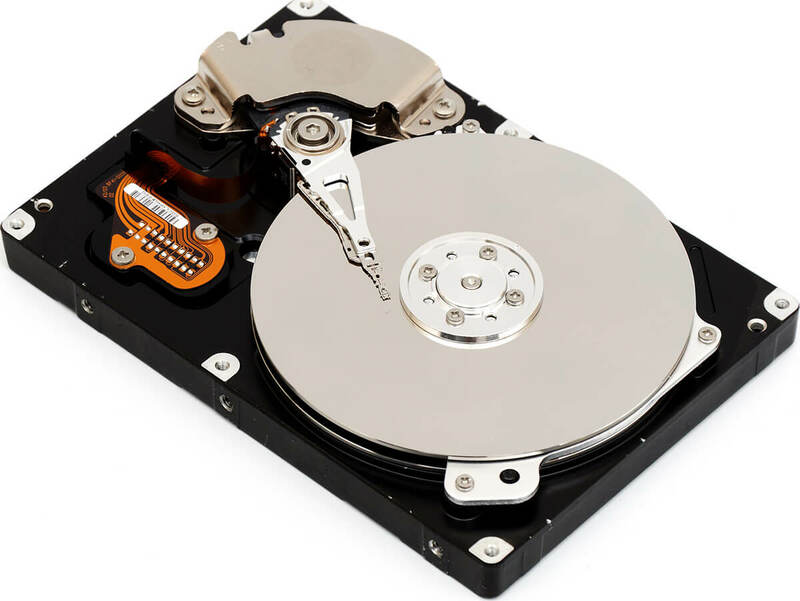 The moving parts within spinning disk drives fail quickly due to the wear and tear they sustain over time. And there are additional variables that factor in the rate-of-failure which include cooling, humidity, and workloads. Another major reason flash continues to replace hard disk drives is performance. With spinning drives, performance is measured by the RPMs (revolutions per minute) it can sustain. Given two identically-designed hard disk drives with the same areal densities, a 7200 RPM drive will deliver data about 33% faster than the 5400 RPM drive. There are also 10K RPM and 15K RPM drives, but there is nothing faster beyond those two speeds. That’s where flash can boost performance by 50x in comparison to a 15K RPM drive. Before the adoption of all-flash arrays, storage vendors first introduced hybrid arrays, which are a combination of solid-state drives (SSD) and hard disk drives (HDD). Hybrid arrays have become popular due to its mix of performance, capacity and moderate costs. In the early days, high costs were a big concern with all-flash arrays. Prices have dropped dramatically over the last few years, which have made AFA solutions more attractive for specific use cases. The pricing advertised by flash vendors may seem complex to understand ,depending if they factor in deduplication and compression. Make sure to read the data sheet details to understand how vendors measure IOPS, latency, and throughput. Not all all-flash arrays are created equal. Keep in mind that all-flash arrays are hardware components that still need a piece of software to manage them and to provide enterprise-level storage services. What good would it be to have all the horsepower of flash with very little intelligence to manage your data? Flash arrays are not the answer to every performance problem—some applications are constrained by I/O and not by disk read/write. Others may be constrained by network latency. Flash will do nothing to help those. In any system, you need to improve all components, and flash can only do so much. You need to also consider network connection speeds, advanced caching strategies, parallel I/O, etc. Considering an investment in all-flash storage? Read Enterprise Strategy Group’s report on what to consider before your next flash storage purchase. All-flash solutions come in different packaging, depending on your specific use case. The two most popular deployments are AFA SAN appliances and AFA Hyperconverged appliances. Each solution provides its own set of pros and cons, which we will discuss briefly in a moment. The other two popular deployments are the x86 server-side internal all-flash drives and the software-defined storage AFA solutions. Both of these options provide unique value, while the SDS option provides the most value out of the four AFA deployment options. All-flash SAN appliances are manufactured by both mature companies such as HP, IBM, Dell/EMC, NetApp, Hitachi and also newcomers like Pure Storage, Tegile, Nimble, Tintri, Kaminario, NexGen, and SolidFire. However, several of these newcomers have been bought out by the big names, and new AFA startups are rising to make the all-flash market extremely competitive. From a capacity perspective, choosing an AFA model from any of these manufacturers totally depends on how many terabytes of data your organization is using. These all-flash SAN appliances are used as building blocks—you can start with one block and scale out by adding more blocks as your data footprint grows. This approach is easy to adapt, but you will eventually end up falling in the “vendor lock-in” trap. This means that you have very little control during price negotiations for renewals or expansion. Keep in mind that each manufacturer has various models that provide specific amounts of storage capacity. Consider the X10 model from Pure Storage, which provides 55TB of capacity. If you have a large 250TB environment, you will simply buy 5 of the X10 AFA SAN appliances, and you are all set. Or you can go with the X20 model, which provides 275TB’s of space. It’s that simple. While performance is the #1 benefit that all-flash arrays provide, other enterprise-level functionalities may not be available, such as high-availability, replication, metro-clusters, cloud integration, etc. In addition, you will have another GUI to learn and manage, requiring training and maybe even certifying your IT staff. Again, the features and requirements vary on a case-by-case basis. You will need to do your homework before committing solely on performance metrics. Gartner’s latest Magic Quadrant for Solid-State Arrays (SSA/AFA) will help you learn more about this group of all-flash SAN manufacturers. All-flash hyperconverged infrastructure appliances are on the rise as they continue to provide two major benefits companies are searching for: consolidation and high performance. Because this type of infrastructure is less than 10 years old, the big players in this space are not as varied in comparison to the all-flash SAN appliance space. But the increasing adoption of all-flash hyperconverged infrastructure is forcing the HPs and IBMs of the world to quickly innovate their own HCI appliance or buyout an emerging all-flash appliance vendor. The most popular names you will hear in this space are Nutanix, HPE Simplivity, Pivot3, Dell/EMC VxRack, NetApp HCI, and Cisco HyperFlex. These are turnkey solutions you can stack as blocks and scale out as you grow. You need to pay premium prices for the convenience and performance benefits. If your company has the deep pockets to go all the way, then the possibilities are endless. A few of the top benefits with all-flash hyperconverged solutions are deduplication and compression. These features can help alleviate the high costs incurred with investing in all-flash. Deduplication and compression ratios can range as low as 1.5-to-1 and as high as 5-to-1—or even 8-to-1 in rare cases. Your data efficiency rates totally depend on the type of data you are storing and the block size of this data. The higher the I/O block sizes, the lesser the ratios will be. However, the grass is not always greener, and there some limitation that come along with all-flash HCI appliances. One main drawback is the vendor lock-in restriction, which companies are trying to avoid in today’s ultra-competitive market. Being married to one HCI solution will incur very substantial costs if you ever decide to switch. For this reason, software HCI solutions are becoming even more attractive, as you can swap out the underlying hardware at any time without being locked in to any particular hardware vendor. Another concern to consider is understanding which hypervisors are supported by each of the AFA HCI appliances. If you ever need to switch hypervisors, such as migrating from ESXi to Hyper-V, you will probably need to buy a new HCI appliance that supports your new virtual environment. That is a tough financial hit to take if your AFA HCI appliance does not support multiple hypervisors. This option can help boost performance for isolated applications that require higher IOPS than what your SAN can offer. This approach is both cheap and practical. There is no need to make huge investments on appliances. Simply buy the latest SSD drives supported by your server vendor, add them to any available drive bays, pair them up with a fast controller, and you are done. That was too easy. But there is a catch: you can’t share these fast SSD drives with the rest of your tier-1 applications running in other servers. The other issue here is the lack of native migration options from the internal flash arrays to any external all-flash appliance if you eventually decide to upgrade to the all-flash SAN model. Although this option is cost effective, it is a temporary workaround and not a long-term scalable solution. Now that you understand the pros and cons of the previous deployment options, let’s review the advantages available with software-defined storage all-flash arrays. Software-defined storage delivers all the benefits the all-flash appliances provide but without the drawbacks. Instead, you actually gain greater flexibility and freedom to choose, which is also known as all-flash converged servers. Leading all-flash software-defined storage solutions contain enterprise-level storage services for data management, including clones, compression and deduplication (either an inline or post-process operation), snapshots, replication, thin provisioning, auto-tiering, and high availability. The software provides all the intelligence that you need while the all-flash arrays provides the muscle and speed. This is the most optimal solution and will maximize your return on investment. In addition, you get to choose any x86 server and add as many SSD drives as you need. You can even add PCIe Flash cards to add more acceleration. Let’s say, for example, you choose the latest SuperMicro server with two 24 port NVMe backplanes, each supporting up to 24x 2.5″ NVMe SSDs. You can add 48x 3.84TB SSDs, which adds up to 184TB of raw flash storage on a 2U server. That is maximum efficiency at every level. Less rack space required for 100+ TB of flash, lower cost than comparable AFA SAN appliances, and the highest performance and best enterprise features available through software-defined storage. There is vast technical information on the internet regarding all-flash array solutions, and we have provided you with the most important high-level facts regarding this concept. Making a decision will be the hardest part because the menu of choices is wide and long. Yet only a few of them will meet your criteria, and that will require time invested in research and finding out all the facts. Out of the many choices presented here, the SDS AFA solution is ideal if you are looking for freedom from vendor lock-in and flexibility to add any hardware from any vendor without any restrictions. While high performance is normally generated by the all-flash arrays, software-defined storage from DataCore adds two additional features that can 3x the IOPS generated by all-flash drives. One of those features is called Parallel I/O, which utilizes multi-core CPUs and dynamically assigns cores as I/O channels to handle heavy workloads during peak times. The second feature is high-speed memory caching for reads and writes using DDR RAM for I/O acceleration, which can generate as low as 0.20 millisecond response times. You are essentially stacking 3 layers of hardware (flash, cpu, memory) and allowing the software to do its magic. The secret sauce is in the software. Not all software-defined storage options produce the same results. Our software, SANsymphony™, is a mature 20-year platform that is extremely stable, reliable and provides the latest enterprise features and functionalities everyone wants. If you already own a server that contains SSDs, you are eligible to receive a free trial from one of our SDS experts. In other words, you can test drive it before you make any commitments. We are confident in the type of results we can deliver for you because there are 10,000+ DataCore customer sites that are happy with their results. Setup a free whiteboarding session with our SDS experts and also get access to your free trial software.